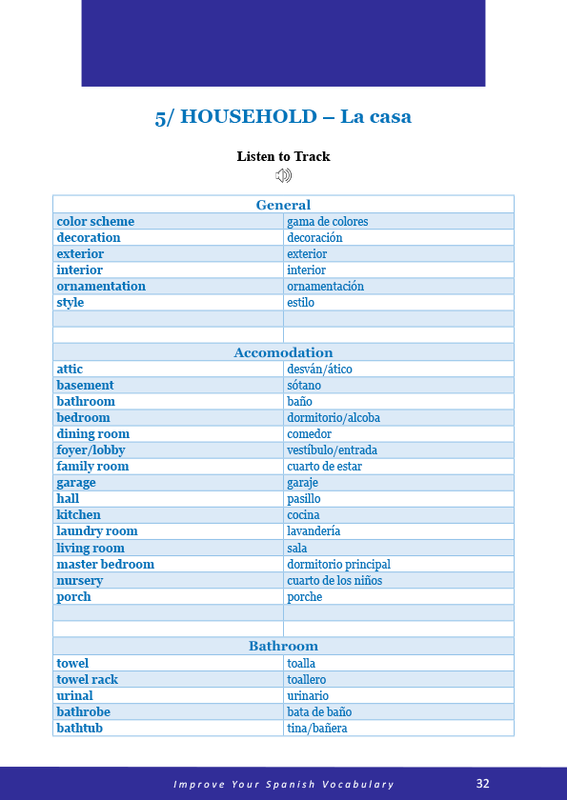 All the vocabulary any Spanish learner would ever need. It’s all here! 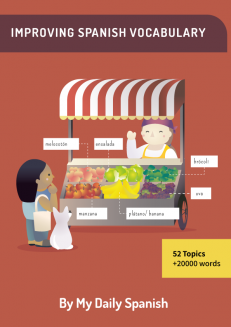 Vocabulary is one aspect of language that you should devote a huge amount of time on. 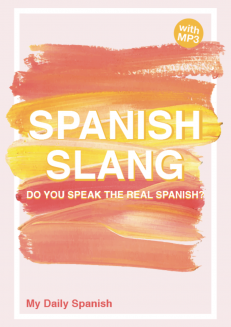 But learning new Spanish words can be time-consuming and quite challenging. How do you boost your Spanish vocabulary in a way that is both intuitive and logical? 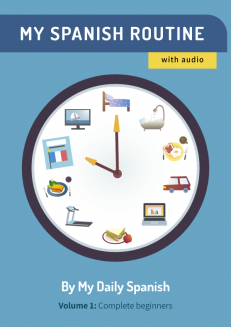 There is a way to learn Spanish words faster and a comprehensive vocabulary review e-book that will boost your Spanish vocabulary faster. 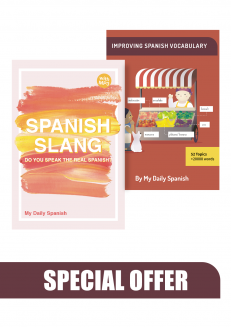 Designed to enrich the vocabulary of Spanish learners who are serious about learning Spanish, this e-book has more than 20, 000 words sorted into 50 categories plus an additional deck of flashcards for the most important words for each category. Topics 1- 18: The vocabulary in these topics are the most common and frequently used. So focus on these and spend the most time on it. Topics 29- 55: Focus only on the vocabulary that is relevant for you. Sorted into 55 categories making it easier for you to navigate the e-book. You will also find an additional deck of flashcards for the most important words per category. 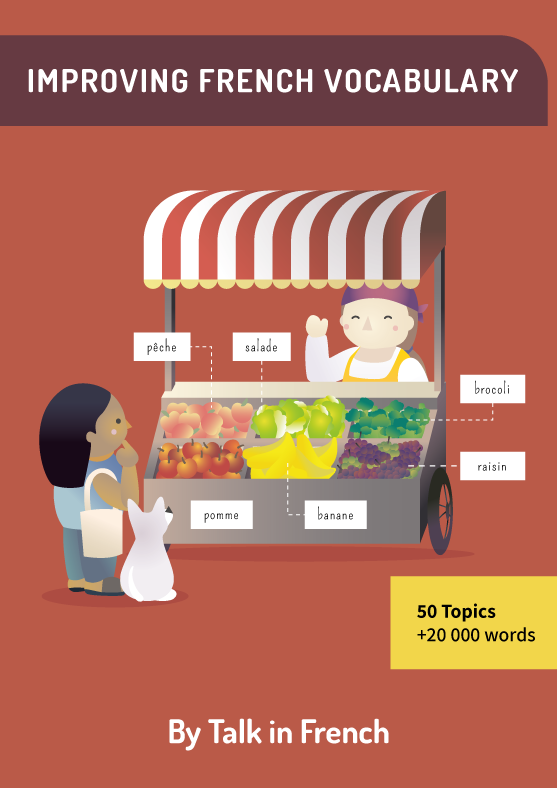 This e-book will be updated every 6 months with new features and vocabulary. 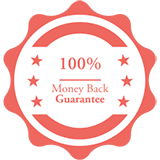 The price will be increased every time there is a big update but you will get all the new features for free. Aside from the ebooks. You will get the audio for every words. 2 formats available: (PDF, Epub). You can use on any e-reader (Kindle, Nook, Kobo), smartphone, tablet and computer. 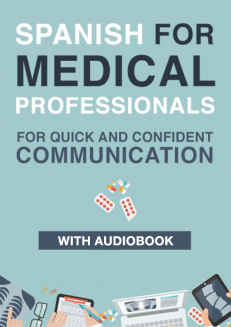 The audio is directly embedded in the ebook. Instant download ! No more waiting to study. Carry it everywhere! What are you waiting for? 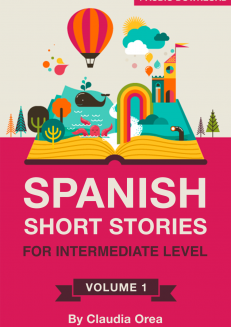 Start reviewing your Spanish vocabulary by getting this e-book today! I wasn’t expecting it to be so complete. I was looking for a good Spanish vocabulary book and this is it. There’s nothing else I could ask for. It’s a lot of words, everything is sorted into topics which makes it easier to find specific words. It even helps with pronunciation. I like the learning tips in the introduction, very important to learn quicker. 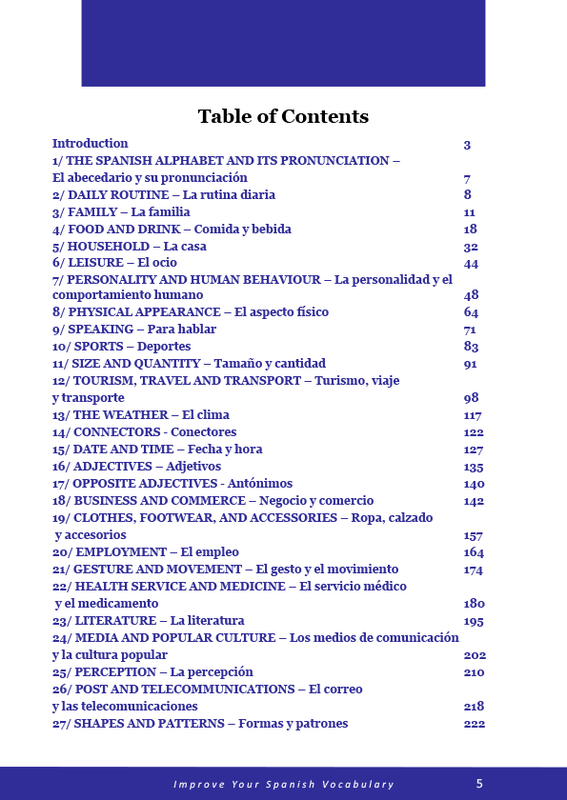 Overall, a very complete book with all the most common Spanish words and very well organised. I am very happy with this ebook. Very complete and well organised. 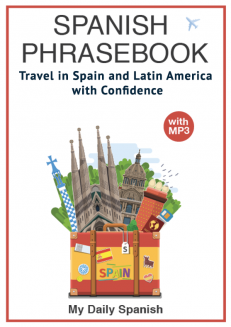 An essential tool to brush-up on Spanish language.